As an atheist, as far as I'm concerned a church is a big pile of stones which uses up valuable land, gets in the way and causes old people who only drive on a Sunday to veer dangerously along my road. However, some people seem to like it and have ideas about 'tradition' and that sort of thing. And yes, I suppose some of the architecture is quite nice. What does get me riled is when the right-on vicar (who, as an aside, is constantly begging for cash for the church whilst driving a brand-new convertible) of the local church starts ripping out pews and internal fittings and replacing them with plastic chairs for that 'community centre' feel (even though the village already has at least one community building). The other day I walked via the churchyard to the local shop to see this dumped unceremoniously outside the front door of the church. 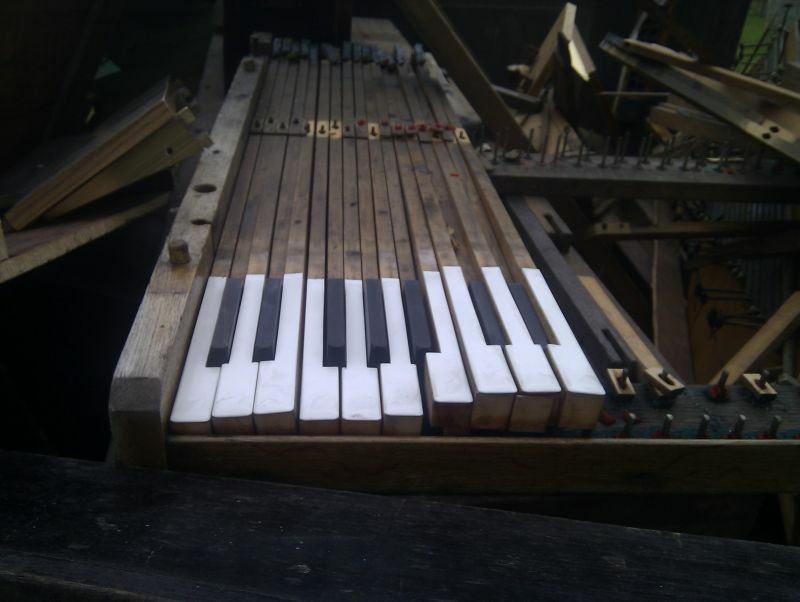 It's the remains of a pipe organ, and whilst I'm sure the argument would be that it was broken and beyond economic repair, it doesn't quite seem 'right' or respectful to simply dump an old instrument like that in plain view. It insults the eye, the congregation and the craft of the maker of what was once a beautiful instrument, however misguided and peculiar the beliefs of those who venture inside the medieval building. 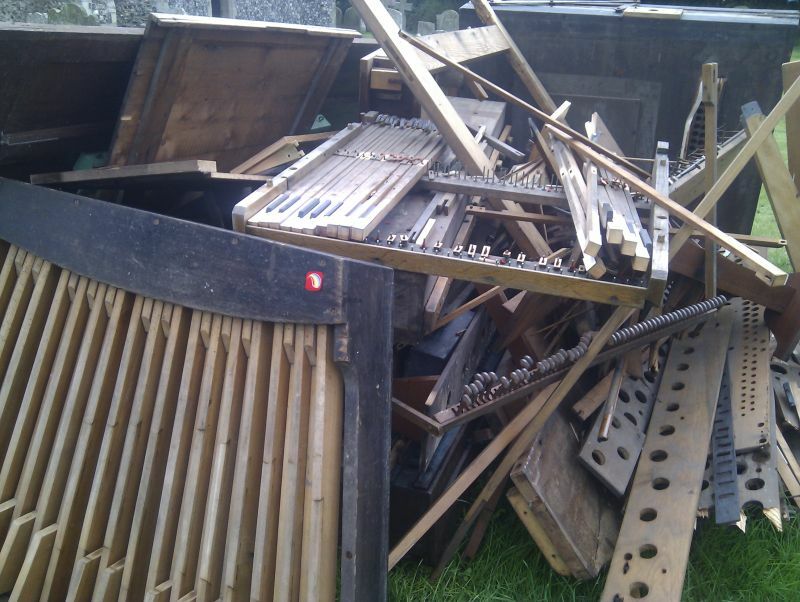 Give it a decent burial, a ceremonial pyre or at least hire a skip. Expect to see parishioners' corpses dumped outside in a pile soon. I should probably write and complain to the incredible publication that is the Village Voice but they'd probably just spell my name wrong and get all the apostrophes in the wrong place. You can if you want. <Edit> A fortnight later, it's still there. When trying to find the words to describe a girl without being disrespectful, may I suggest that any comparison to the neighbourhood whore, however favourable, is not the best place to start.